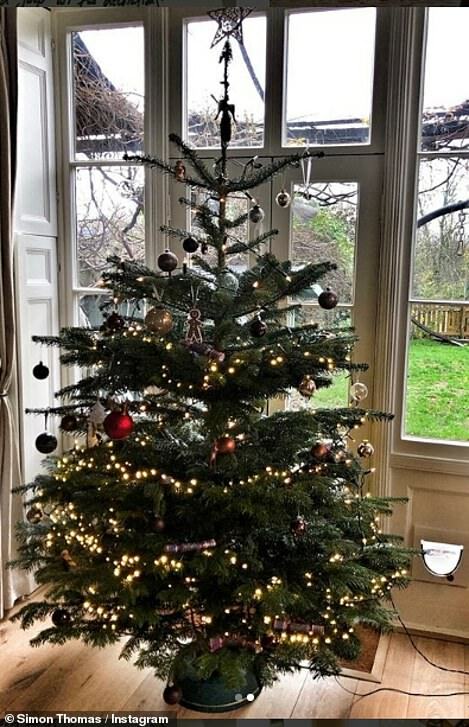 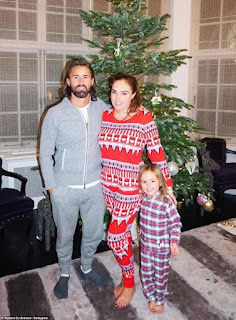 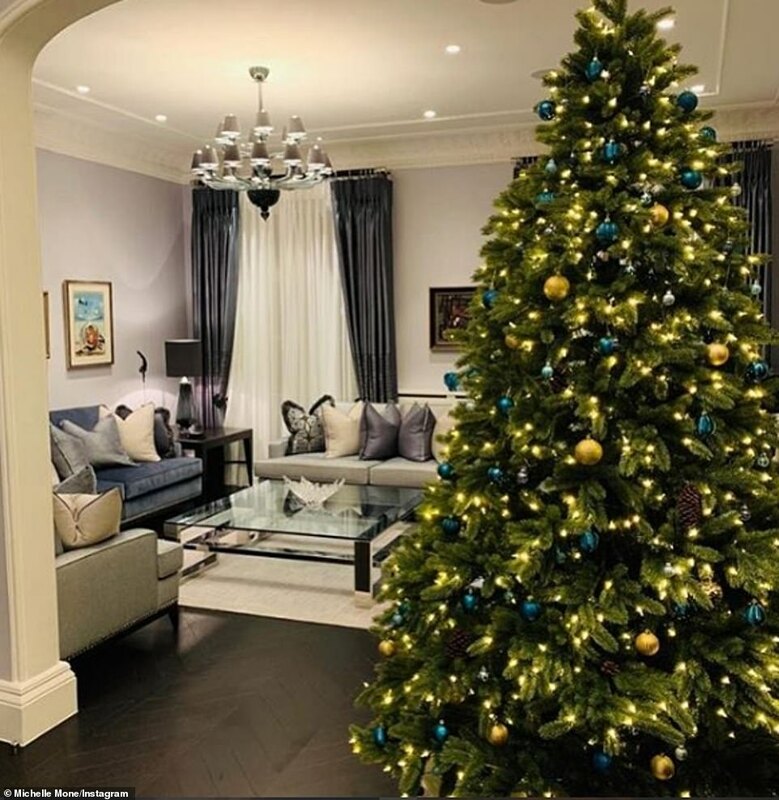 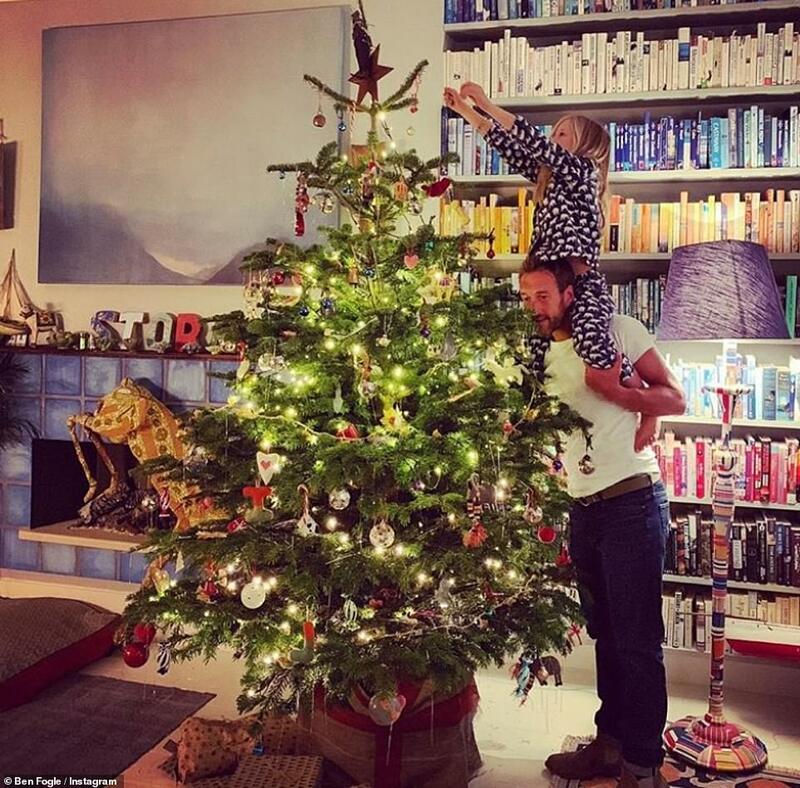 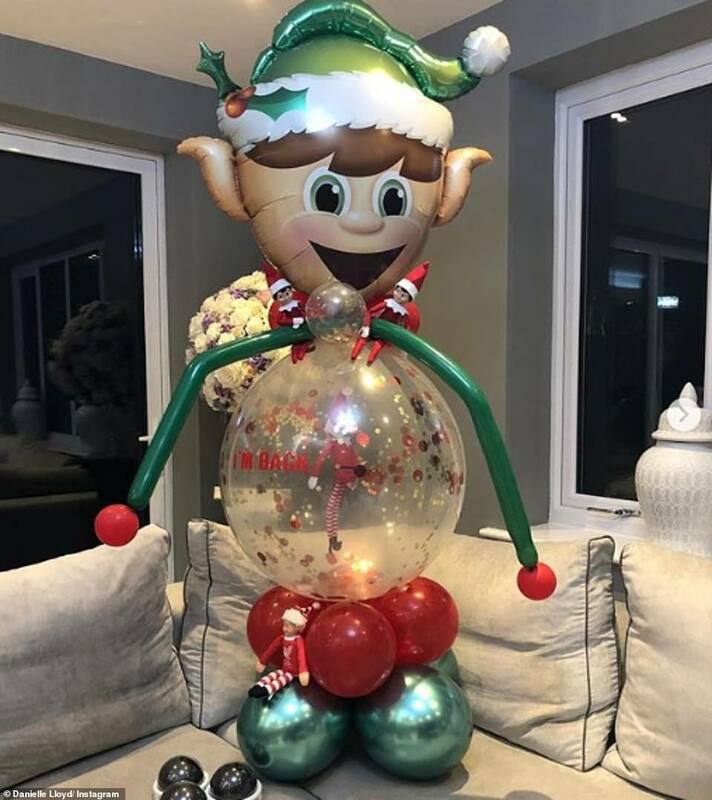 As we've entered into the festive season, celebrities have pulled out all the stops for their Christmas-themed abodes. 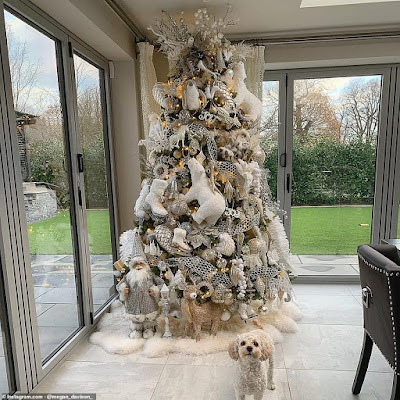 Kylie Jenner gave her fellow stars a run for their money as she displayed her wealth through her lavish decorations, ensuring guests turn their heads during every inch. 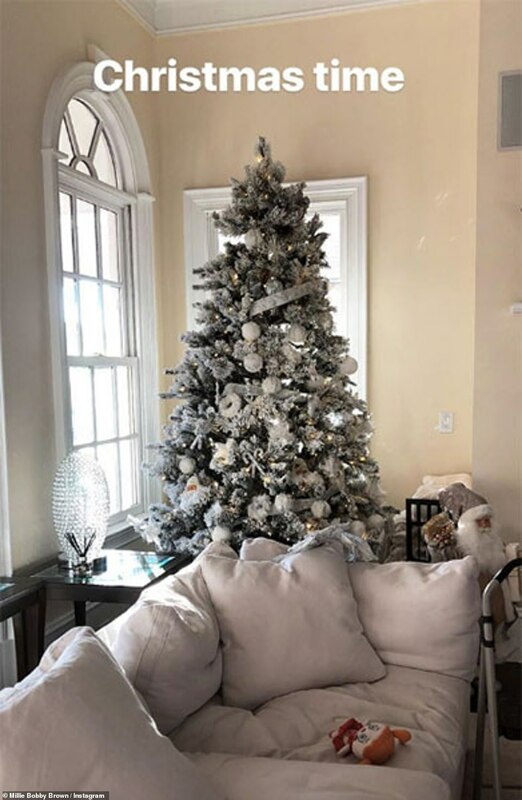 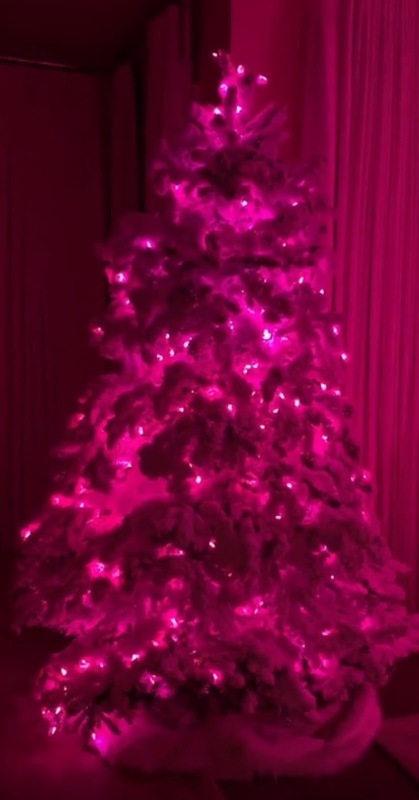 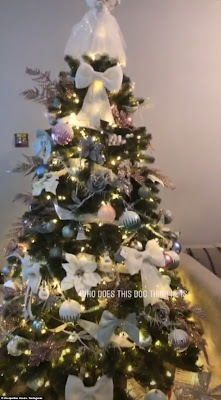 The make-up mogul, 21, who lives with beau Travis Scott, 26, and their ten-month-old daughter Stormi, injected the glitz and glam into her home with a staggering tree illuminated with golden lights throughout. 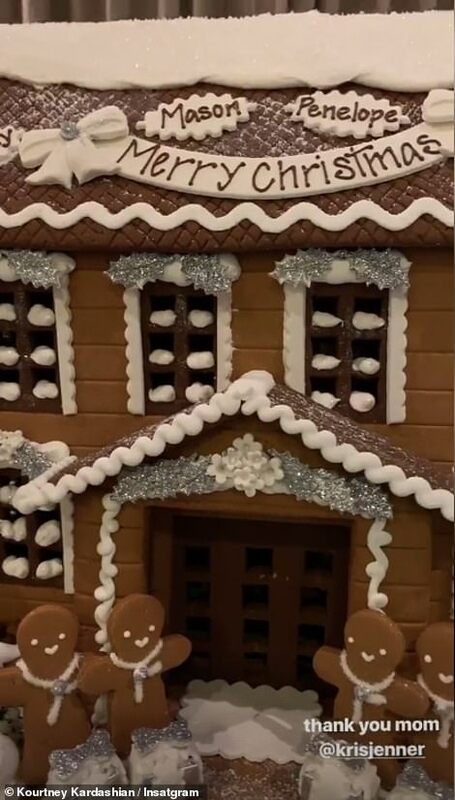 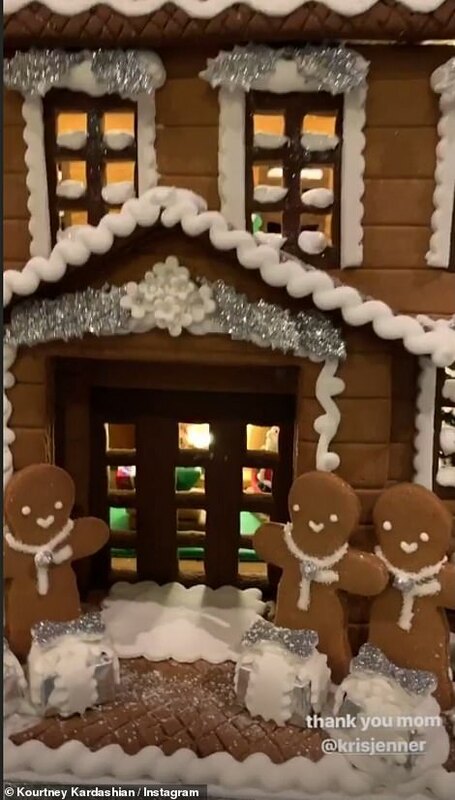 Following in her younger sister's footsteps, Kourtney Kardashian appeared to go out out for the festive season as she received a detailed gingerbread house for her children, Mason, eight, Penelope, six, and Reign, three. 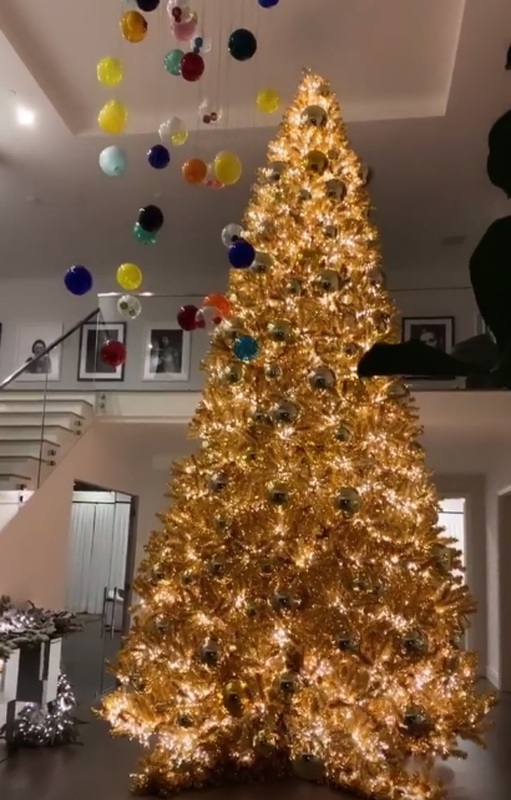 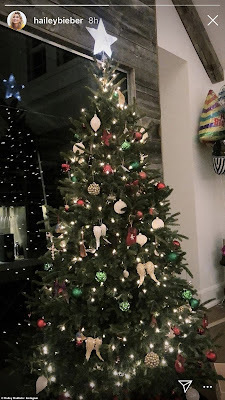 Khloe Kardashian kept things more moderate with a traditional medium-sized tree decked out in gold lights and tinsels, a perfect sight for her daughter True, seven months. 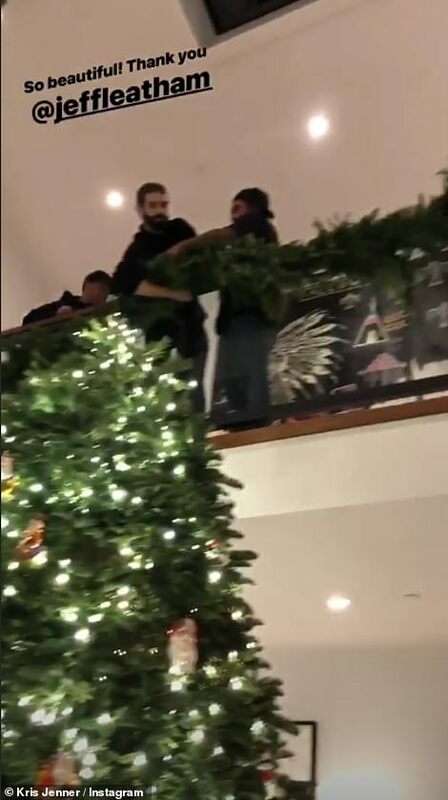 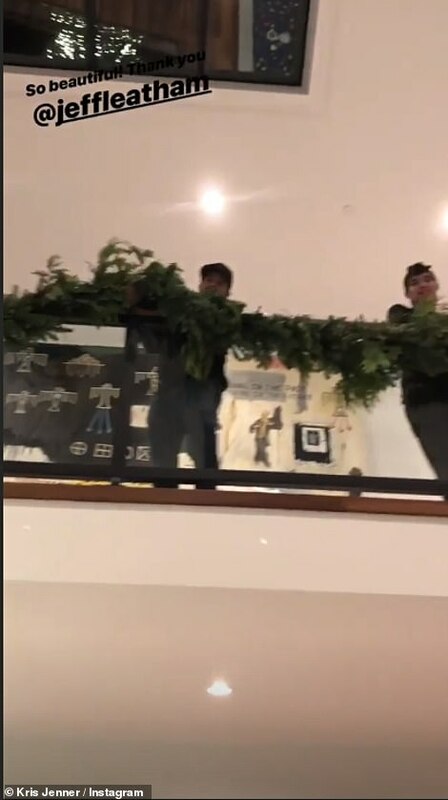 Momager Kris Jenner took to Instagram to share a clip of workers putting up her spectacular tree and signature greenery along her railings. 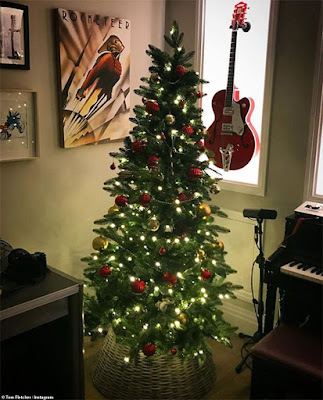 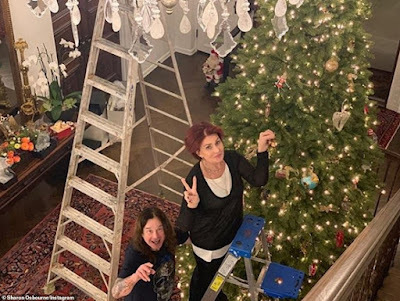 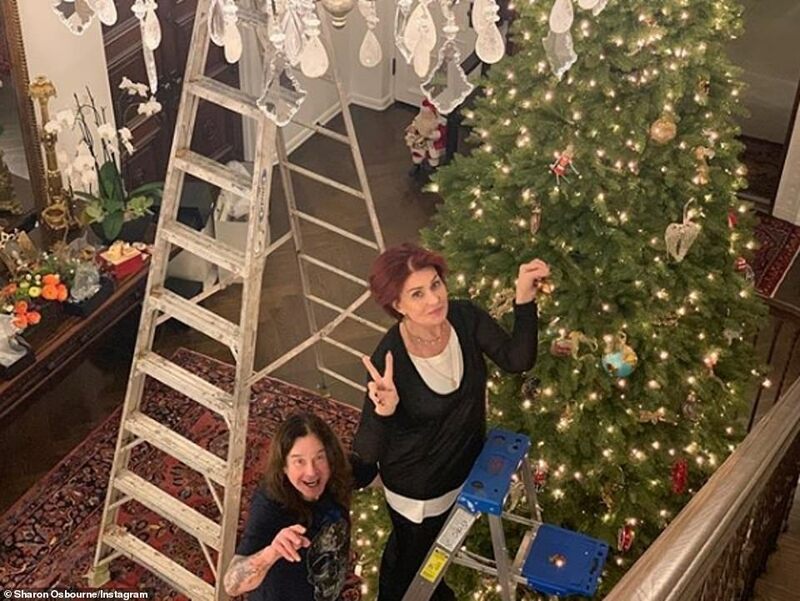 Taking matters into her own hands, Sharon Osbourne shared a snap of herself and husband Ozzy decorating their tree with baubles with the help of a ladder. 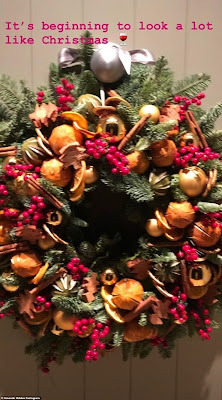 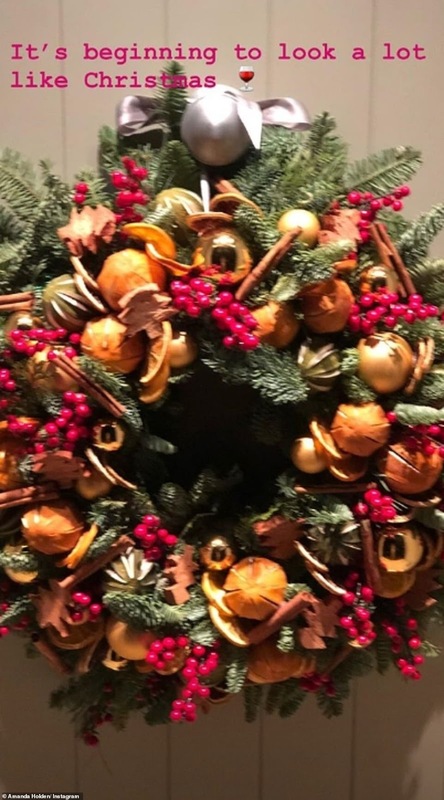 Amanda Holden displayed her eye for interior design with her colourful wreath for her front door, complete with orange baubles, mini wooden trees and a matte silver ribbon. 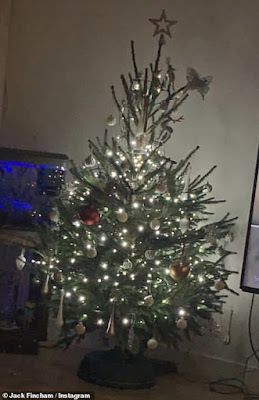 In a similar fashion to reality star Kylie, Paddy McGuinness rang in the festive season with a massive golden tree in his garden. 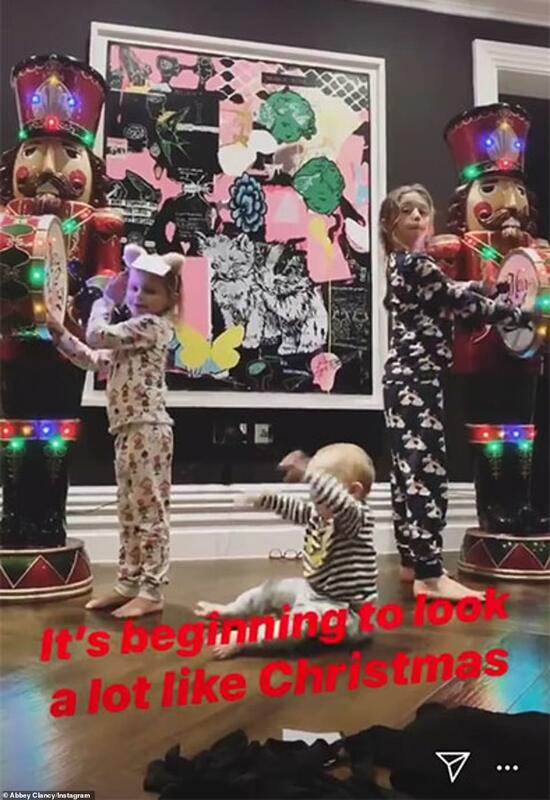 Taking to Instagram, he explained his decision to put up such an extravagant piece. 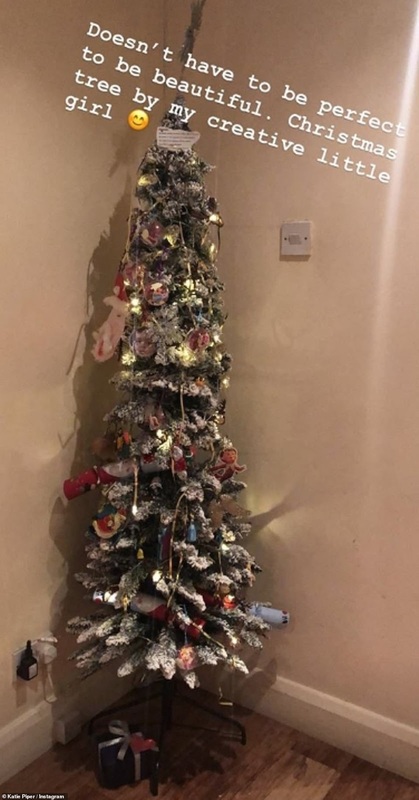 He captioned the image: 'Merry Christmas everyone! Trees up...in the garden, not the house. 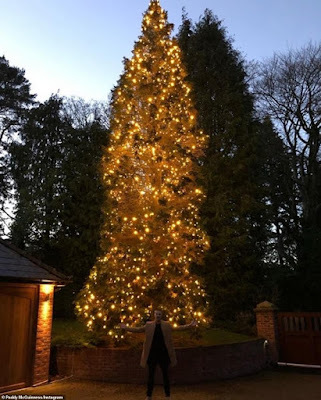 The little uns are more relaxed with it outside and after a 5 year wait I finally get to go big time with the lights!!!! 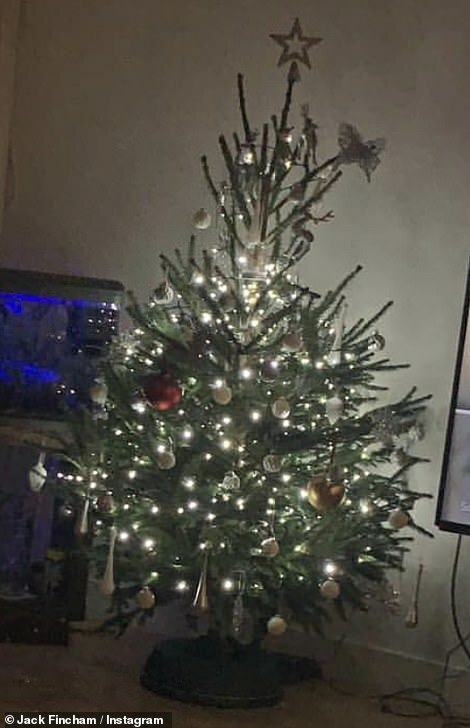 So happy... until I get the leccy bill' (sic). 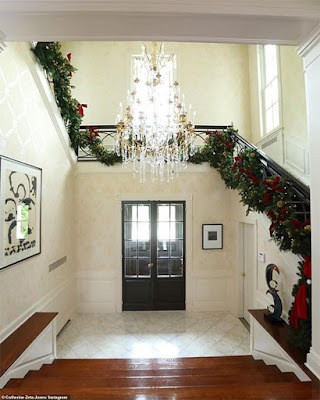 Newlyweds Justin Bieber and Hailey Baldwin went for a surprisingly muted look with traditional red and green tones making up their colour scheme, while Catherine Zeta-Jones utilised her sweeping space to create an airy yet stunning hallway - with all the social media posts offering an envy-inducing touch feeds.